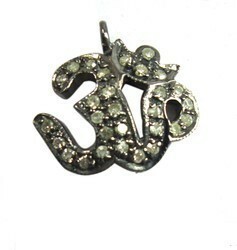 We are offering Pave Diamond Designer Charm Pendant to our client. - A Beautiful Pave Diamond Emerald Charm Pendant over Sterling Silver. With our in-depth knowledge of this domain, we are actively engaged in offering an excellent quality assortment of Diamond Charms. Brand: Metarock Jewels Pvt. Ltd.
Our company has been successful in winning appreciation from the clients as one of the most prominent names in the trading of Bird Silver Pave Diamond Charm. 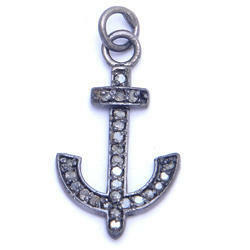 We are a top notch supplier of Pave Diamond Arrowhead Charm Pendant.